California’s San Luis Obispo County has a plethora of microclimates that enable farmers to produce a great variety of crops. Promoting a local food culture that takes advantage of that diversity and abundance is the mission of Central Coast Grown, a San Luis Obispo-based non-profit organization that strives to build awareness, production and consumption of locally grown food by conserving farmland and supporting young farmers and urban farming. According to the organization’s executive director Jenna Smith, Central Coast Grown works to conserve land currently in agricultural production, as well as to educate the public about food and its origins. Central Coast Grown advocates sustainable and local food systems, and aims to strengthen the relationships people have with their food by telling the story of where that food came from and connecting members of the community to food and farmers in San Luis Obispo County. 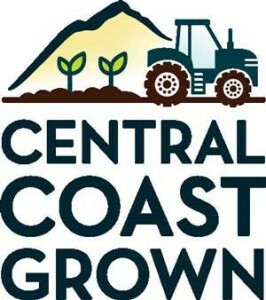 Its web site, www.centralcoastgrown.org, offers a wide directory of farmers, restaurants and community supported agriculture ventures. Smith notes that most food consumed in the county is imported, while most food produced in the county is exported. She would like this to change. Central Coast Grown is conducting a survey of publicly owned lands suitable for agriculture. Because potential new farmers are often kept from producing food because of prohibitively expensive land, transforming certain public lands for agriculture use can encourage new farmers and foster sustainable, local food production. A major part of this effort is City Farm, the first urban farm in San Luis Obispo. Sitting on 20 acres in the heart of the city’s Calle Joaquin Ag Reserve, Central Coast Grown will lease the land for agricultural use, bolstered by a city policy requiring 50 percent of prime agricultural land to stay in production. On April 6, City Farm will hold its official grand opening, which will include speakers and tours. Central Coast Grown, through City Farm, is already facilitating a connection between local agriculture and locally-produced food. Farmer Nicola Allegretta grows produce at the farm, which is later served at his San Luis Obispo restaurant, Mama’s Meatball, located only two miles away. The remaining acreage will be used for new farmers, experimental agriculture and educational opportunities. Hunter Francis, interim president of the Central Coast Grown board and director of the Center for Sustainability at Cal Poly, San Luis Obispo, envisions City Farm possibly featuring a childrens’ garden, horticultural food forest, horticultural therapy, bees and medicinal plants. The farm, says Francis, will remain accessible to the public and will offer tours and field days. Through the San Luis Obispo County Food System Coalition, Central Coast Grown partnered with Gail Feenstra of the University of California’s Sustainable Agriculture Research and Education Program in a county Food System Assessment. With this tool, Central Coast Grown hopes to identify how the community is affected by the local foods system. This partnership was assisted by a grant from the California Department of Food and Agriculture. Both Smith and Francis cite the importance of funding to their efforts. Central Coast Grown relies on grants from the state, as well as donations from supporters. “There has been much community interest and support,” Francis says. Francis is excited about the connections being made through Central Coast Grown and the educational opportunities offered to grow the local and regional food economy. He also wants more land preserved for food production, especially amidst the threat of development pressures.